The Atkins-Halstead Cemetery was not found; however, there is a Halstead Cemetery near the town of Foster about 10 miles away. 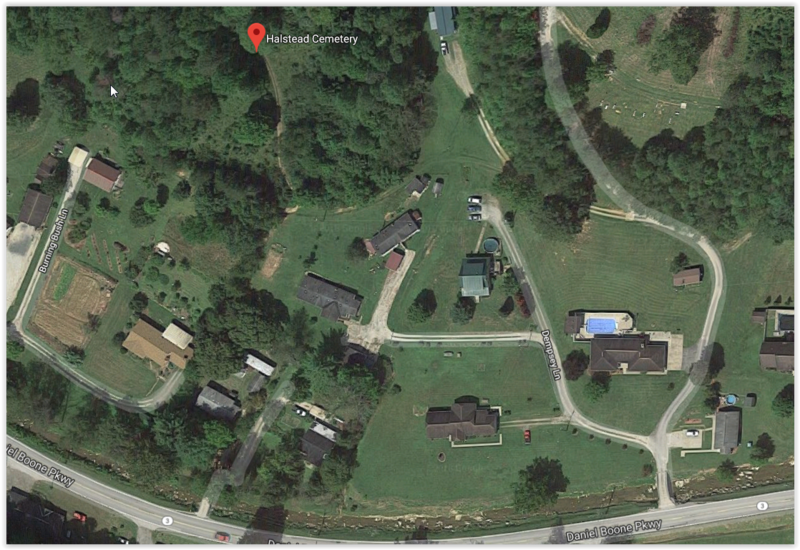 Others have represented that the Atkins-Halstead Cemetery is located about 3 miles from the main road on the left fork of Williams Fork in Peytona. That location is somewhere in the vicinity of the Halstead Cemetery mentioned; which is at 38.1014469,-81.8045976.